Neither Marcos nor anyone representing her attended Friday's court hearing. 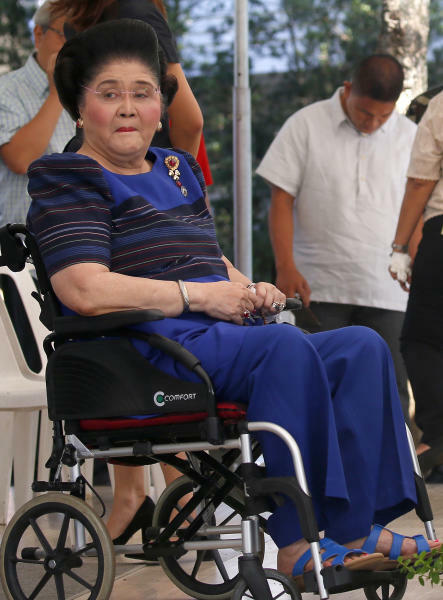 "I was jumping up and down in joy in disbelief," said former Commission on Human Rights chairwoman Loretta Ann Rosales, who was among many activists locked up after Imelda's husband, former President Ferdinand Marcos, declared martial law in the Philippines in 1972. Former Sen. Aquilino Pimentel Jr., who was also jailed during the Marcos dictatorship, said it was up to voters in next year's May 13 local elections, where Marcos is a candidate, if they want "somebody who has a bad name representing them, that's your call." 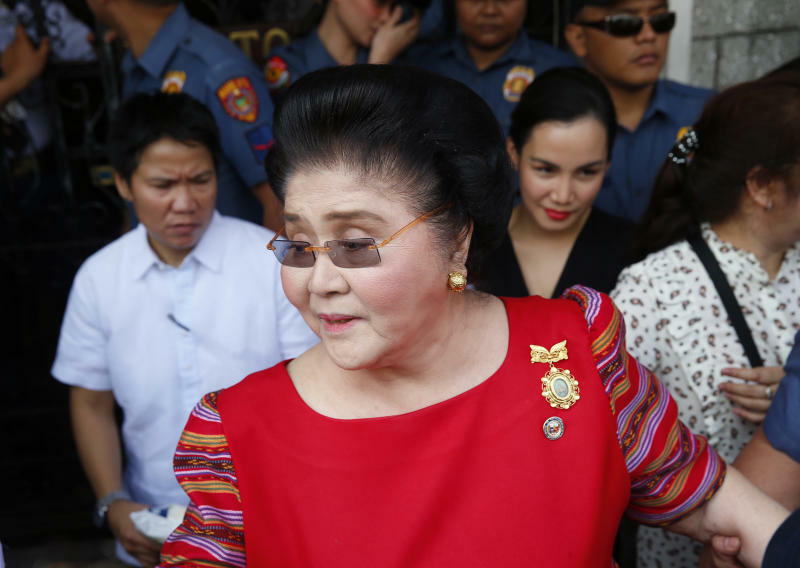 Imelda Marcos' husband was ousted by an army-backed "people power" revolt in 1986. He died in self-exile in Hawaii in 1989 but his widow and children returned to the Philippines. Most have been elected to public offices in an impressive political comeback. Government prosecutor Ryan Quilala told reporters that Marcos and her husband opened and managed Swiss foundations in violation of the Philippine Constitution, using aliases in a bid to hide stolen funds. The Marcoses have been accused of plundering the government's coffers amid crushing poverty. They have denied any wrongdoing and have successfully fought many other corruption cases.